Three little stamps to make fun toppings for children's cupcake by stamping onto the fondant icing. 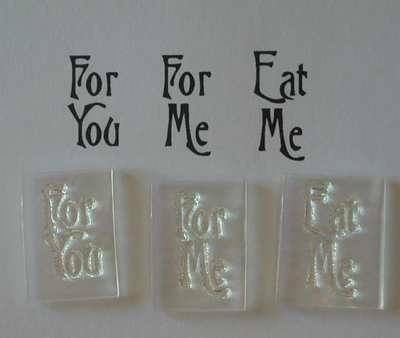 'For You' - 'For Me' - 'Eat Me'. 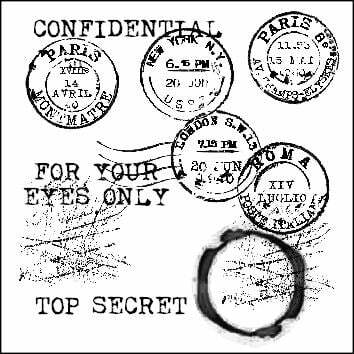 The stamped area of each stamp is approx 1cm x 1.8cm.